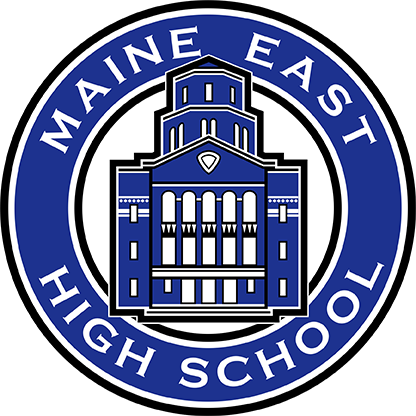 Maine East High school has a strong commitment to educating our academically gifted and talented population. This objective is achieved through a two tiered program at the high school level: The Gifted Lyceum serves the top 5% of academically talented students with a two-year academic program and a two-year leadership program. This program seeks to enrich the curriculum of our brightest students to maximize their achievement as well as develop their problem solving abilities through critical thinking models. Gifted Lyceum is a four-year program that challenges students to reach their academic and psycho-social potential. It consists of a two-tiered program consisting of a two-year academic program and a two-year leadership program. The students are enrolled in two, year-long courses, that enrich the academic development beyond the accelerated curriculum as well as two Leadership for Life year-long courses that employ service learning and creativity development. Students graduate with a minimum of 9 Advanced Placement courses. Registration enrollment begins in the fall of 8th grade. Please contact our Student Personnel Department to begin the process at (847) 825-4484. Students are invited to a registration night to choose their classes in January of each year. Students who wish to be considered for the Gifted Lyceum need to submit or be tested for the Fall MAP test sometime before November 1st. Students scoring in the top 20% in both Math and Reading will be considered for further testing. The Cognitive Abilities Test is administered in December. Final decisions regarding placement in the Gifted Lyceum are finalized in early February. Please contact Judith Tyler for more information, to schedule a tour or to schedule a shadow day.